NOTIFIER offers network solutions that provides total control over your life safety system. 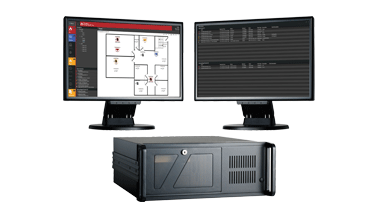 NOTIFIER’s ONYXWorks and FirstVision series of products allows for a central, single interface connecting separate systems while quickly pinpointing the exact locations of emergency events across large, connected campuses. NOTIFIER’s line of network products are expandable and modular which allows designs to be compatible with existing technologies and other building management systems. These solutions combined with our emergency communication systems enables faster, more precise notification to everyone in a building or in multiple facilities across a city, state, or even the globe.